Scroll down for the top communications news from this weekend. 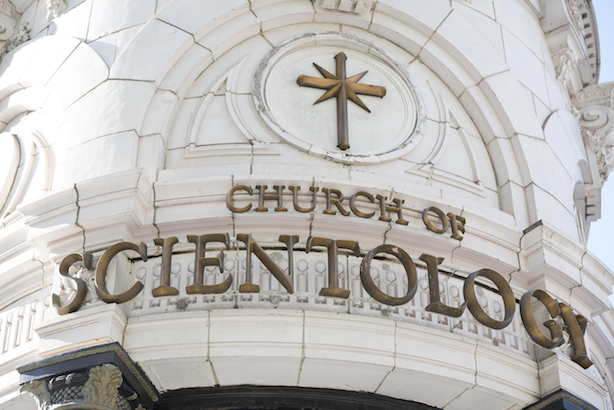 DirecTV customers will have another viewing option on Monday night, when the Scientology Network is set to debut on satellite TV and the Apple TV and Roku platforms (Hollywood Reporter). Will Scientologist Hollywood stars such as Elisabeth Moss and John Travolta lend their talents to the network (Refinery29)? Twitter has cut out several prominent "tweetdeckers," or accounts that steal content or team up with others to mass-retweet posts into faux popularity. Several of the eliminated accounts had reached social media fame with hundreds of thousands or even millions of followers (BuzzFeed). The search for Hope Hicks’ replacement has turned into another West Wing faction fight, with administration blocs supporting aides Mercedes Schlapp and Tony Sayegh for the White House communications director role. Both have reportedly expressed interest in the job (Politico). On another front, lawyers for President Donald Trump are reportedly considering legal action to stop 60 Minutes from airing its interview with Stormy Daniels. CBS News is planning to broadcast the sit-down with the former adult actress on Sunday, March 18. (BuzzFeed). Noticing new, somewhat unusual artwork around the office? More companies are trying to make their workspaces selfie-ready by adding perks such as craft beer stations or pool tables to make them more attractive to younger workers in the Instagram age (Wall Street Journal).